Rabbit is trying to get to sleep, but everyone is being so noisy. 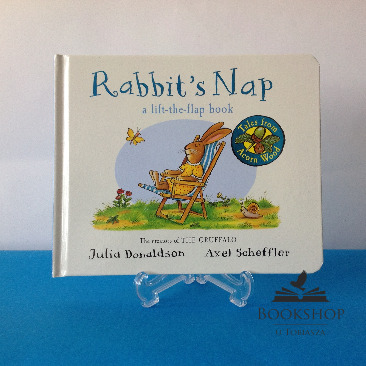 Lift the flaps and find out who is keeping Rabbit awake! Will she ever have her nap? With sturdy flaps on every spread and rhyming stories that are a joy to read aloud, the Tales From Acorn Wood have been delighting both parents and toddlers for over fifteen years. Celebrate their unending appeal with Rabbit's Nap, a beautifully produced board book with a gorgeous shiny-foiled cover look.